The unique 3 phase process provides instant and maximum aeration to an entire bottle of wine. This set has been designed to work with any style of decanter. Simply insert the aerator into the decanter or use the glass insert along with the aerator to help keep the aerator in the correct position. 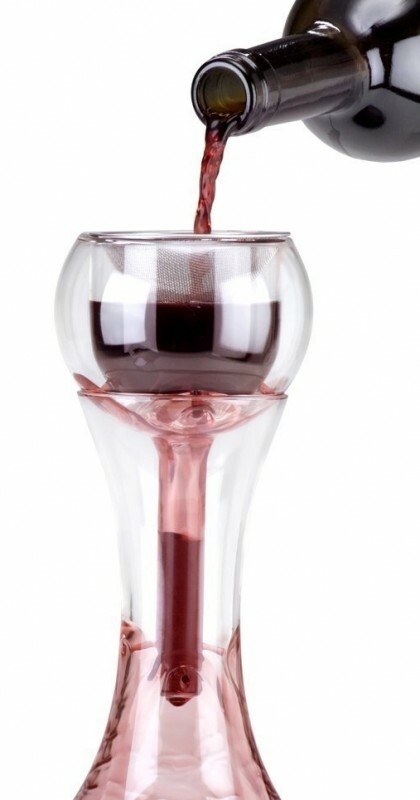 Then pour your wine through the 3 phase process enhancer and serve.